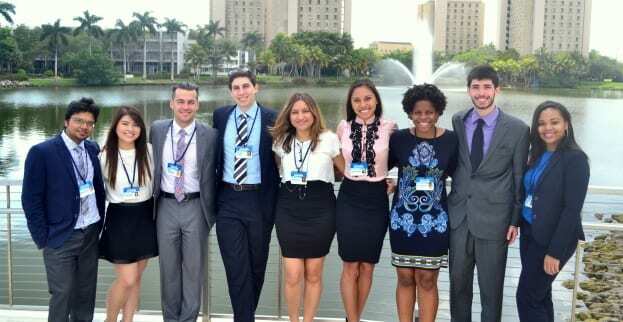 A project to turn used coffee grounds into biodiesel developed by electrical engineering graduate student Mohammad Faruk Hasan earned him a spot in the Clinton Global Initiative University (CGIU) staged March 6 to 8 at the University of Florida. Hasan was one of 1,100 students from some 350 universities to attend the conference, which brings together students, university representatives, topic experts and celebrities to discuss and develop innovative solutions to pressing global challenges. The idea for Hasan’s project arose after he began volunteering last summer at the Inglewood-based Grease Kings, which collects cooking oil from 300 Los Angeles-area restaurants to produce biodiesel. 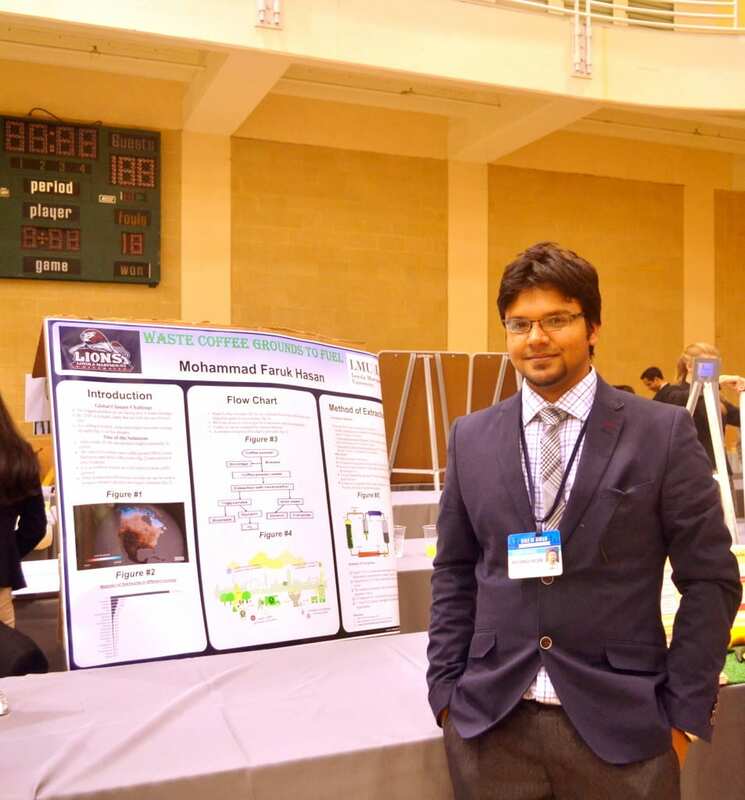 The CEO asked Hasan to research alternative renewable sources for the fuel, and he continued the work “A Comprehensive Approach to Extracting Biodiesel from Waste Coffee Grounds” during his Special Topics on Research Methods class in Fall 2014. With more than 2,000 Starbucks shops and countless other coffee houses in California, Hasan is confident that enough waste coffee grounds can be acquired to make an impact in the Los Angeles area. But first a method to extract and purify the oil so it can be used in diesel needs to be demonstrated and a license obtained to produce it. With $600 seed money granted in May by Loyola Marymount University’s Center for Service and Action, Hasan will conduct a month-long experiment to test an advanced super critical CO2 extraction process to move the effort to the next stage. The CGIU focuses on five areas: education; environment and climate change; peace and human rights; poverty alleviation; and public health. Hasan was one of nine LMU students to receive invitations to attend, and the only one from engineering. Twenty-six-year-old Hasan expects to complete his studies and earn his master’s degree by the end of 2015. Hasan nick name Sabuj is my one of best friends. Man, feel proud of you. Congratulations. Thanks Liton 🙂 Hope to do something soon.